The Wool Lined WWII American Tanker Jacket, originally designed for American armored vehicle crewmen and army tank crews in Europe, came into the existence during WWII. 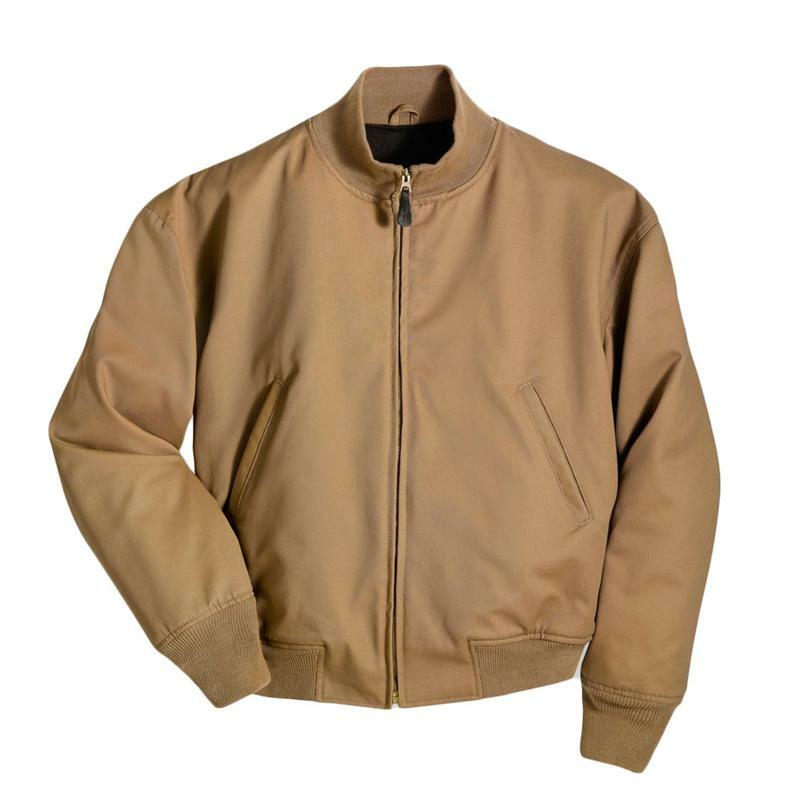 This jacket delivers unmatched comfort and warmth from a wool lining, and features pure cotton outer body along with two front hand warming slash pockets. It comes equipped with a front brass zipper, shoulder pleats and a bi-swing back for facilitating easy movement. The full-bodied fit, imported American Tanker Jacket sports knit collar, cuffs & waistband, and it is recommended to order one size down for a snug fit.